Exam: Want to win the blue ribbon? 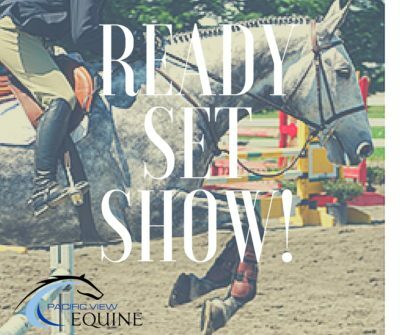 Make sure your horse is ready! 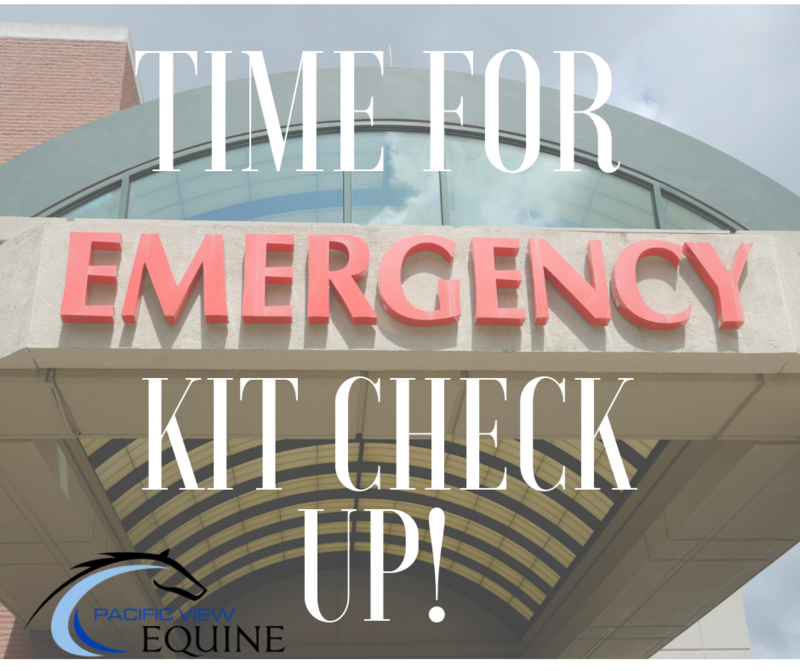 Show fees and travel expenses can all add up, but if your horse isn’t feeling well it will not perform at its best! Address any health changes with your vet, so they don’t hold you and your horse back from success! Chiropractic Exam: You feel sore after a work out? So can your horse! A chiropractic exam and adjustment can help improve performance! 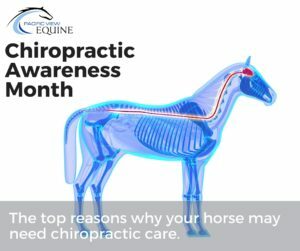 Plan in advance because after a chiropractic adjustment your horse will need 24 to 48 hours off to allow for those adjustments to set and hold. Dental Exam: Dental changes and sharp points can create ulcerations and lacerations on the soft cheek tissue. This can lead to a horse with a sore mouth becoming resistant to working with a bit. A dental exam with sedation and a speculum can identify these changes so they can be corrected before they become a bigger problem. Joint Injections: Performance horses are athletes! Just like us, age, work, and performance level lead to changes in the joints. Inflammatory change and arthritis lead to a decrease in comfort and performance. We can help reduce joint pain and soreness in those specific joints involved. Gastrogaurd or Ulcergard: Studies show approximately 65-70% of horses that show have some degree of gastric ulcers in their stomach. Ulcergard can help prevent ulcer formation when used ahead of time, and Gastrogard can heal those ulcers that are creating discomfort. Joint support: Joint support supplements such as Platinum-CJ, Platinum Ortho-chon-HA, or Cosequin-ASU can help reduce inflammation and promote optimal joint function slowing the progression of arthritis. Injectible joint support supplements such as Adequan or Legend provide higher levels of very specific medications and can have an even more pronounced effect. Vaccinations: Each show may have specific vaccination requirements; check to make sure your horse has these in advance and is up to date on its annual vaccinations. Vaccinations traditionally due in the spring: Eastern Equine Encephalitis/Western Equine Encephalitis, Tetanus and West Nile are given annually. Influenza and Equine Herpes Virus (Rhinopneumonitis), are administered every 6 months. Heath Certificate & Coggins: Showing out of state? You need a health certificate and Coggins! A Coggins exam need to be done 10 working day in advance in order to have time for a laboratory to process blood results. A health certificate is then issued upon receipt of these results. A Coggins is good for 6-12 months depending on the state and health certificate is good for 30 days. Each state may have specific requirement, it is best to check these in advance. Why do I feel we see more colic symptoms when the weather changes? Here in Southern California our weather patterns in the winter and spring months are very inconsistent. One-week daytime temperatures may be 85 degrees, then drop down to 60 degrees the following week. These, sometimes rapid temperature changes are hard for us to adapt to, and the same can be said for the horse. Two systems that take a little time to regulate to these changes are the G.I. system, and the thirst center in the brain. When we go from warm weather down to colder weather in a short period of time, the horse isn’t stimulated to drink quite as much for the first 24-48 hours. However, the body still requires significant amounts of water for feed utilization, fermentation, and passage through the G.I. system. If the water intake doesn’t match the water lost during normal daily function, we can see mild dehydration begin. This in turn can lead to a dryer, firmer manure that can irritate the lining of the G.I. system, and/or move the manure through the intestinal tract at a slower rate. This is often referred to as a dehydration or impaction colic. Another complication is that as the feed material is sitting there, fermentation is still occurring which releases gas into the intestinal tract. Typically, as discomfort increases in the horse, the G.I. motility begins to slow down. As such, the gas being produced collects rather than be passed, causing more discomfort creating a loop that can be hard to break. When we go from cooler weather up to hotter weather in a short period of time, similar events happen but often more rapidly as the body is using and losing water even faster. Can we prevent some of these events? Absolutely! We can’t stop all of them, but we can help prevent some of the problems while the horse is adapting to temperature changes. I often recommend feeding a wheat bran mash or a soaked beat pulp mash to provide beneficial fiber and increased amounts of water into the G.I. system. We can also provide electrolytes such as salt to the diet to help stimulate the horse to drink more. Usually 1 tablespoon of regular table salt once or twice daily for a couple days can help significantly. Think about it this way: After eating a bag of salty potato chips we generally are thirstier. The horse is not any different. Another trick is to wet down your horse’s hay. You don’t need to soak it, but wetting it down helps soften the hay, as well as provide more water in the G.I. system. This is greatly beneficial when feeding really dry, course hay which we do see more in the winter months. Also, make sure your horses water buckets are cleaned regularly and have cool, clear, clean water. If the water in the bucket doesn’t taste good, they will be less likely to drink it. Despite all of our preventative measures, we inevitably will still see horses’ colic. As there are many, many different causes to colic (a general term for a belly ache), it is always advisable to call your veterinarian. Other measures may be needed depending on the cause of the colic signs. In the case of impaction colic, nasogastric tubing and administering fluids and mineral oil (acts as a lubricant in the G.I. system), and the use of pain relieving medications are often required. Thankfully, with a few management changes during these changing weather periods, we can reduce the potential of colic significantly. Unfortunately I have some rather alarming news to pass along. There has been a horse in Ventura County that has tested positive for West Nile Virus. As I was not the veterinarian who saw or treated the horse I don’t have any details regarding the horse, the outcome, or its location. The Ventura County Star is reporting (on 9/3/2015) that it was in “The Fillmore Area” (read the article here) and the horse was unvaccinated but that is all the information that was provided. I contacted multiple state agencies and it was confirmed that it was in “the east end of the county” but no specific city was provided. This serves as a reminder for us all regarding the importance and value of an inexpensive vaccination when it comes to protecting you horse. Current West Nile vaccinations are extremely protective (greater than 99%) and are a true once a year vaccine with little reported vaccination reactions. 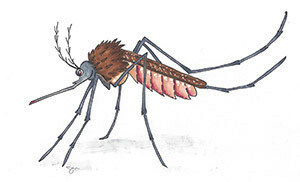 Most equine veterinarians and the American Association of Equine Practitioners consider West Nile to be a core vaccination along with tetanus, and Eastern and Western Encephalitis. That means we recommend all horses be vaccinated yearly. 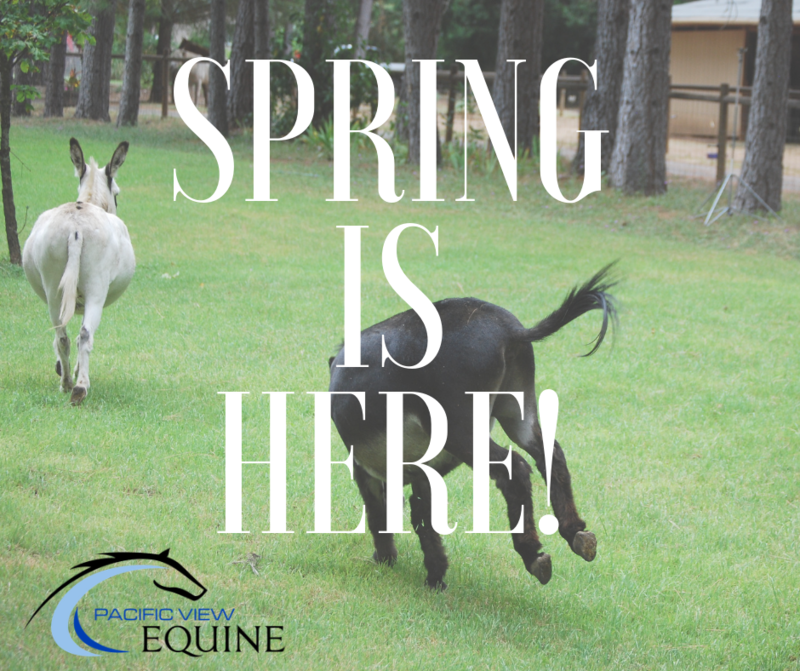 If you are unsure if your horse has received their vaccination, or if they need it, please feel free to call (805-516-9090) or e-mail us (info@pacificviewequine.com) so we can make sure to get your horse(s) protected. Birds serve as the main carrier for West Nile Virus, and mosquitoes serve as the vector transmitting the disease to many other species after biting an infected bird. According to the California West Nile monitoring web site http://www.westnile.ca.gov/ , we have had between 6 and 8 birds test positive and 3 chickens. There is no data for mosquito populations, humans, or horses for Ventura County as of this writing. There have been 25 new human cases in the past week for the entire state of California.